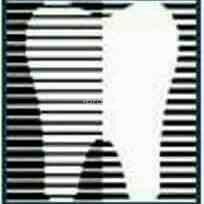 United Smiles Family Dentistry is a Dentistry Clinic in Vyttila, Ernakulam. The clinic is visited by doctors like Dr. Annie Mohan. The timings of United Smiles Family Dentistry are: Mon-Sat: 10:00-13:30, 16:00-19:00. Some of the services provided by the Clinic are: rootcanal treatment,Zirconia Crowns,dentures,Pit and Fissure Sealant and Dentofacial Orthopedics etc. Click on map to find directions to reach United Smiles Family Dentistry. Doctor got a vast experience which clearly resembles in her treatment. she understands the problem very clearly n explains all possible ways for treatment. n then suggests the one which best suits us. She not only understands, wat we say of our problems..but also the things which we couldn't express properly.. thats wat an experience doctor shud have. Definitely u feel very comfortable regarding ur problem after talking to her n feel very satisfied after the treatment done. she listens to wat all u say very patiently. she gives the complete picture before starting the treatment n puts u relaxed n after the treatment..u wil be very happy the way it goes. very efficient.. effective n experienced. NVR deals like a doctor n patient.. instead treats u like a friend n gives her best in the treatment. She is more concerned abt ur health than ur money..which we don't find in many doctors. For a healthy n satisfied treatment..do visit her. Excellent. Very nice experience. Will recommend to others for dental treatment. Doctor's behavior is very good. Doctor explained in detail about the mode of treatment. Cost of treatment is also reasonable.